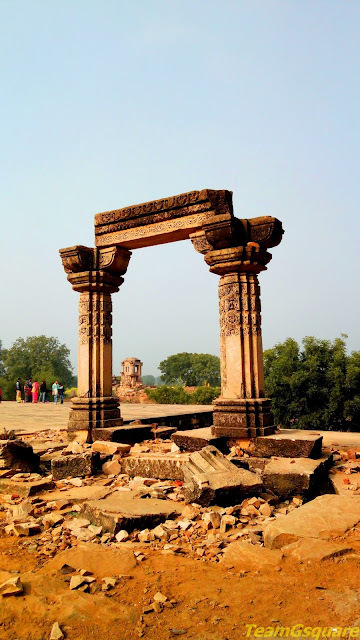 After a wonderful river safari at Chambal Sanctuary and an exciting visit to the Eco-park at Deori, Kakanmath temple of Sihoniya was the next destination on our list to visit in Chambal region. After having some food on the way, we reached Sihoniya and drove towards Kakanmath temple which is located about 1 km outside village limits amidst the fields. 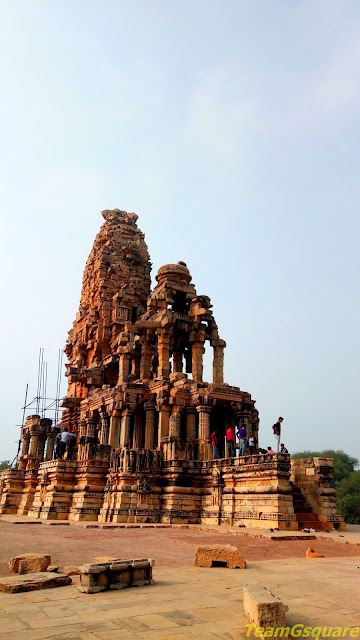 Huge skeletal remains of a magnificent Shiva temple are seen, giving us a glimpse of what had stood once here. The temple complex consists of a main temple dedicated to Lord Shiva in the form of Linga surrounded by 4 small temples which are now in complete ruins. 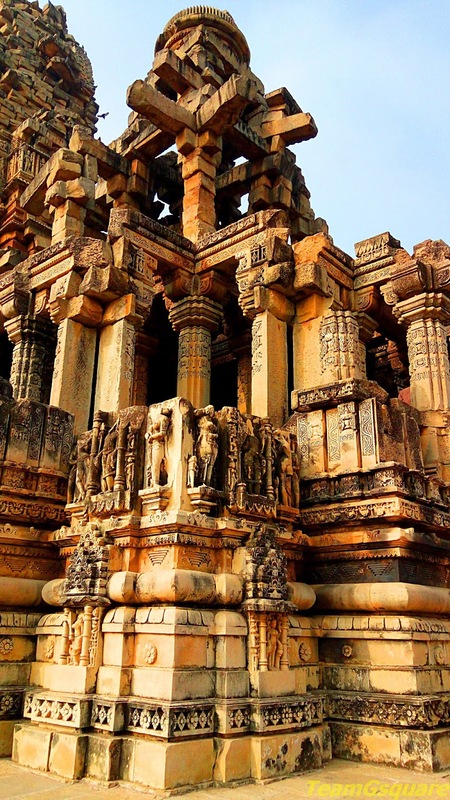 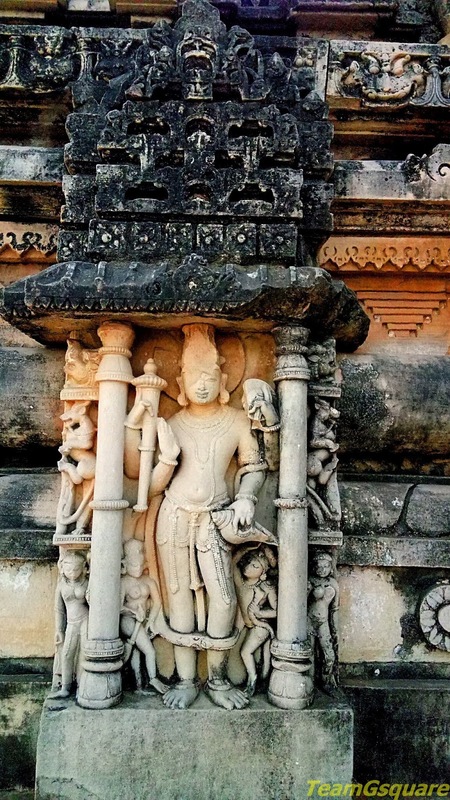 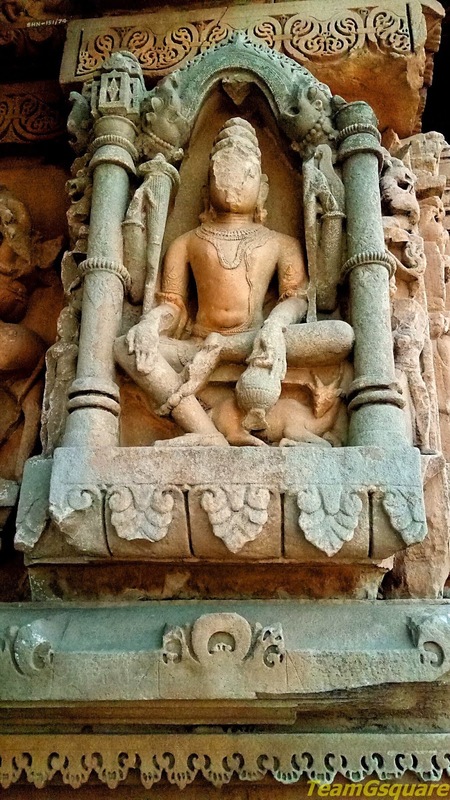 This temple complex is believed to have been built in 10th century by King Kirttiraja of Kachchapaghata dynasty, as per the inscription found at the Saas Bahu temple in Gwalior. 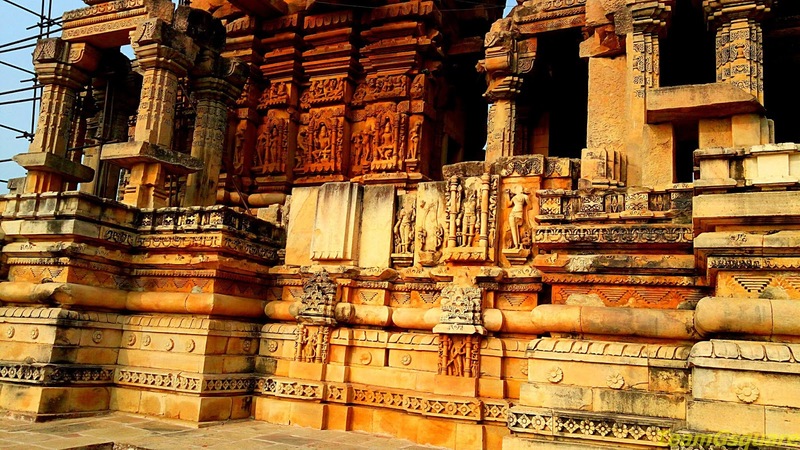 The temple here stands on a lofty ornate pitha/platform similar to other temples in Madhya Pradesh built around this time such as the Vijaya Mandir, Vidisha. 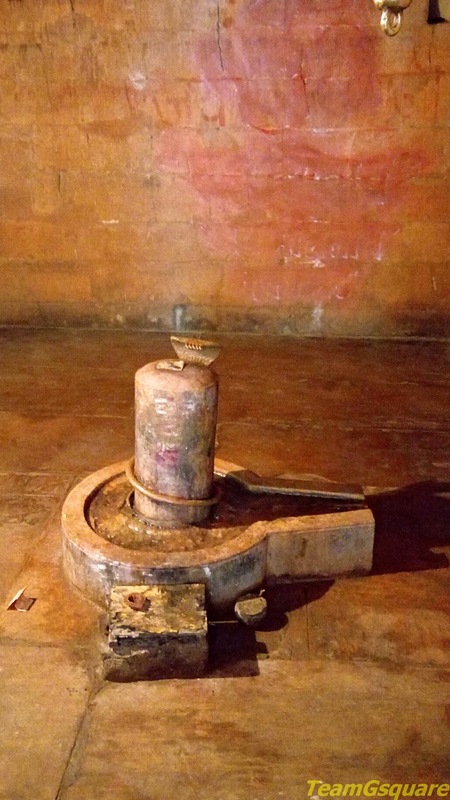 The temple comprises of a sanctum and mukhamandapa which can be approached from the east by stairs. 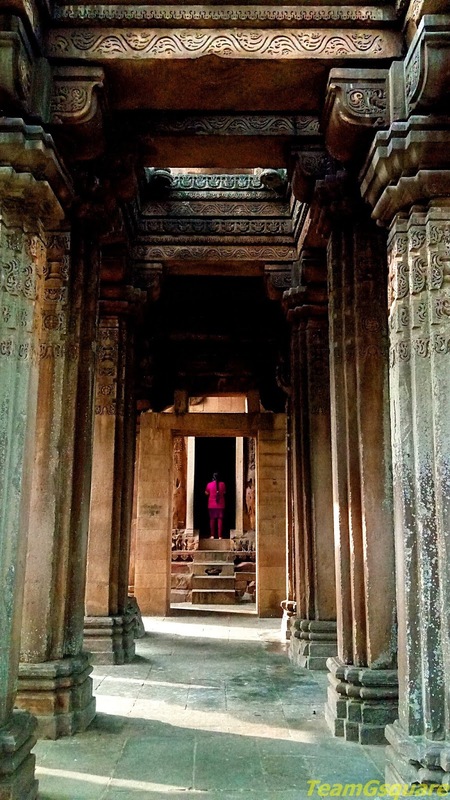 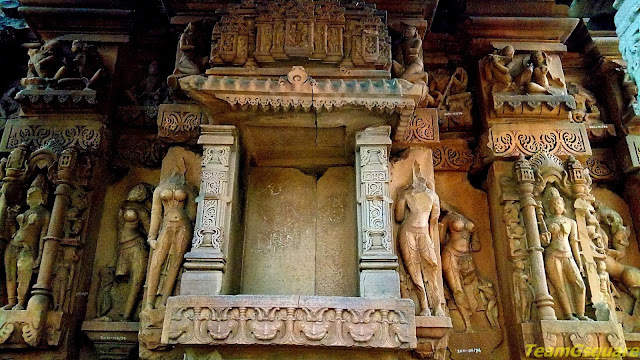 The Ashtadikpalas are carved in the eight directions of the sanctum, which are surviving even today. Carvings of various gods adorn the temple wall of this temple. The shikara of this temple is around 30 meter in height, of which only the inner part crowned by a bell member has survived. 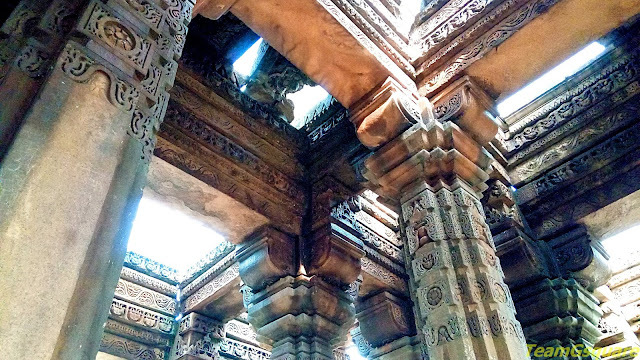 The remains of balconies can be seen even today with pillars carved to perfection. There are also remains of a small mandapa in front of the main temple with only 2 of its pillars surviving. 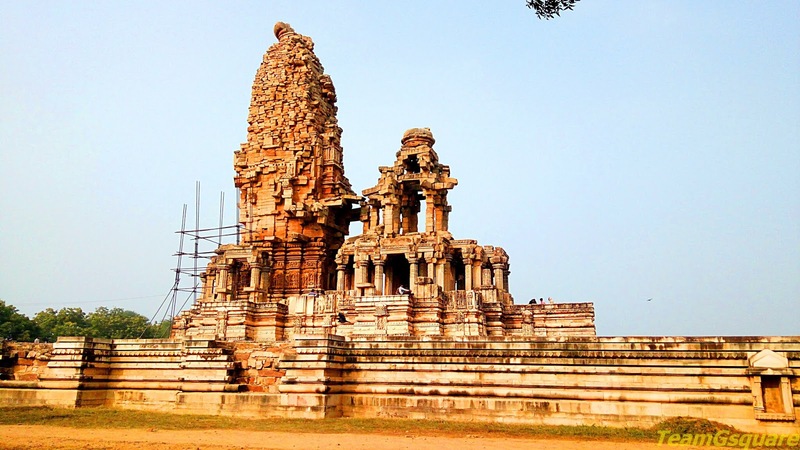 The ASI and MP tourism have done a wonderful job in restoring this temple which probably was damaged during an earthquake. 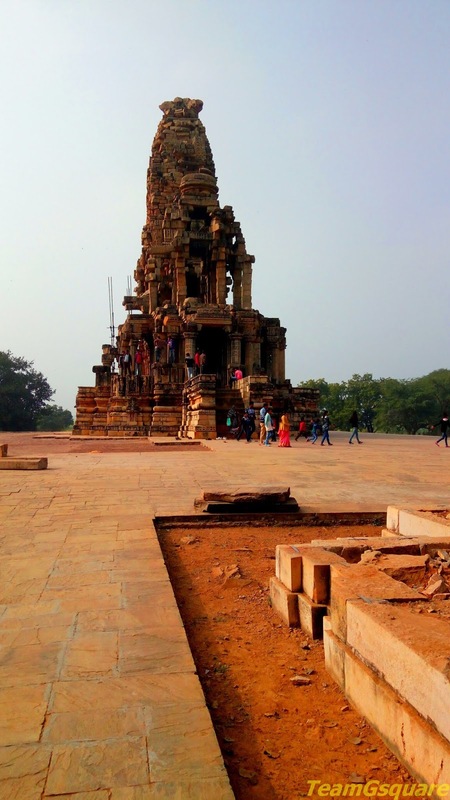 The excavation work is still underway and in the coming days, we can hope to see much of this temple getting back its original shape. 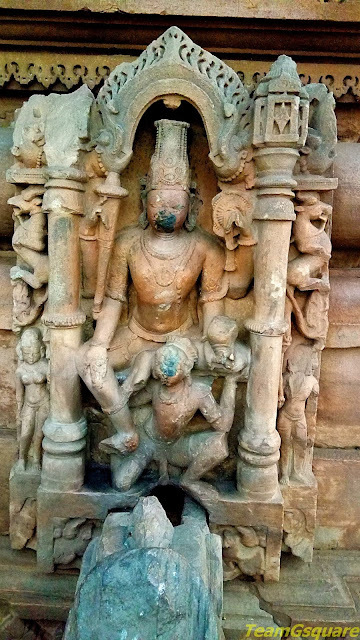 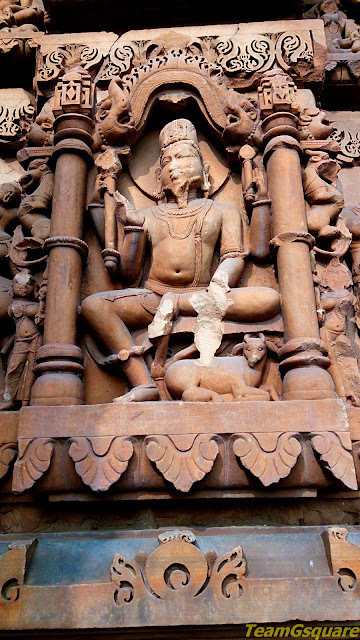 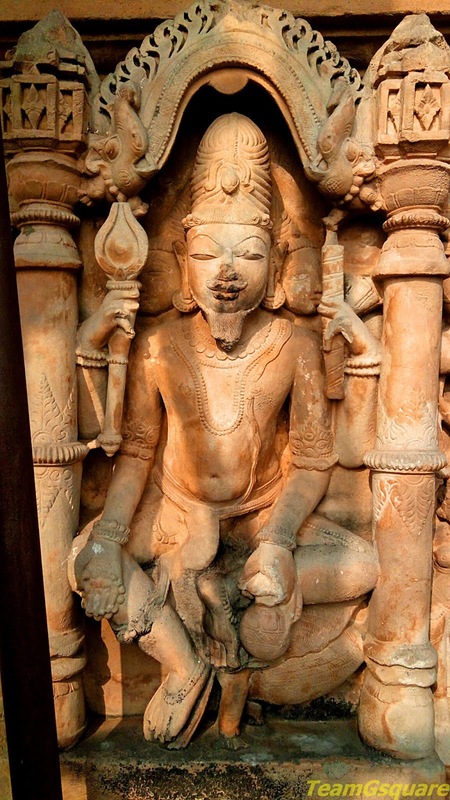 The sculptures found here are preserved in the Gwalior ASI museum. How to Reach Sihoniya: Reach Morena which is located on the Gwalior-Agra Highway, take a right towards Ambah and travel for about 16 km. Then take a right turn and travel for about 12 km to reach Sihoniya. 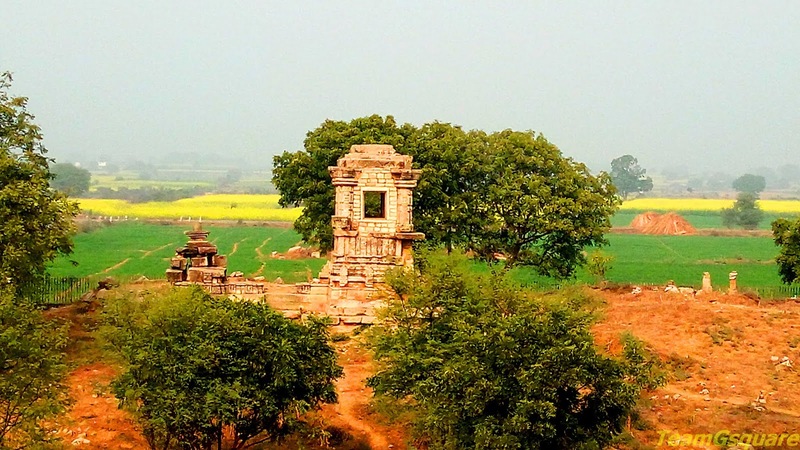 Accommodation: There are as such no accommodation options here, but one can stay at Morena or Gwalior where various options are plenty and make a day trip to this place. Loved this post a lot, photography is magnificent. 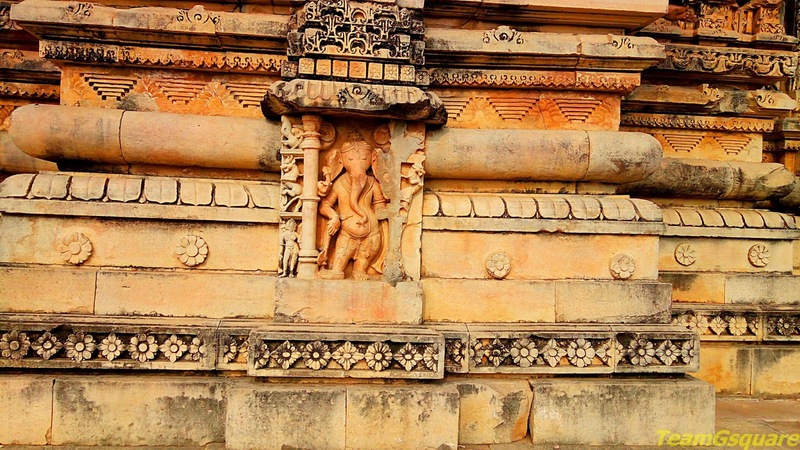 Beautiful, good to see the authorities doing a good job despite the damage in the earthquake. The pictures are all marvellous! 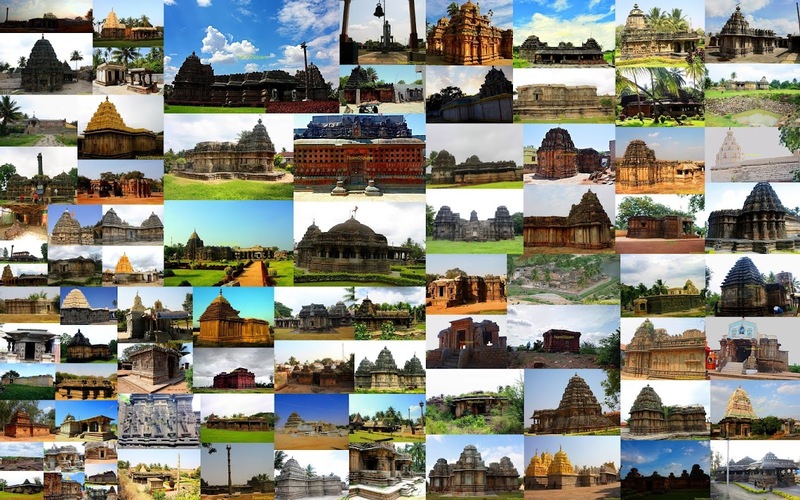 Great to know this temple. 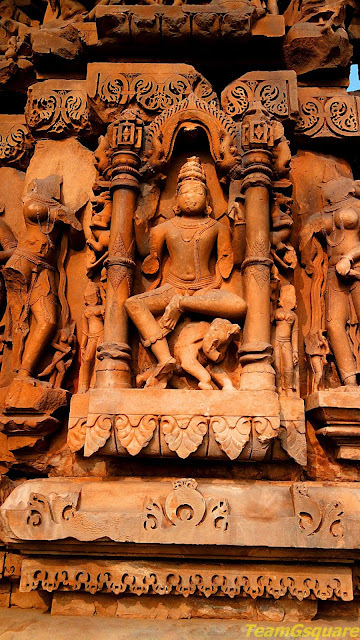 Sculptures are great.